BUY IT HERE, at eThaiCD, where you can shop in English. 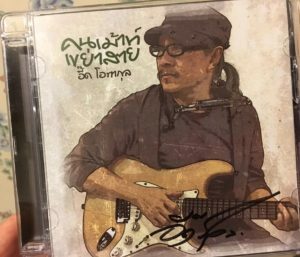 You might be tempted to buy this album just based on its evocative title: ทุ่งฝันตะวันร้อน “Tung Fun Dtawan Ron” means “The Meadow Dreams of the Hot Sun.” And you would not be mislead. Come lay in the field and bask in the great music. Soak up the poetry. Be warned that this album contains at least two songs supporting the “Yellow Revolution for Democracy” (presumably the PAD circa 2006). If you are able to overlook that, this Gold Edition is truly gold. Well, anyway, it’s worth the $25.00. I wasn’t going to review it because of the politics, but I keep coming back to the album for all the other songs. 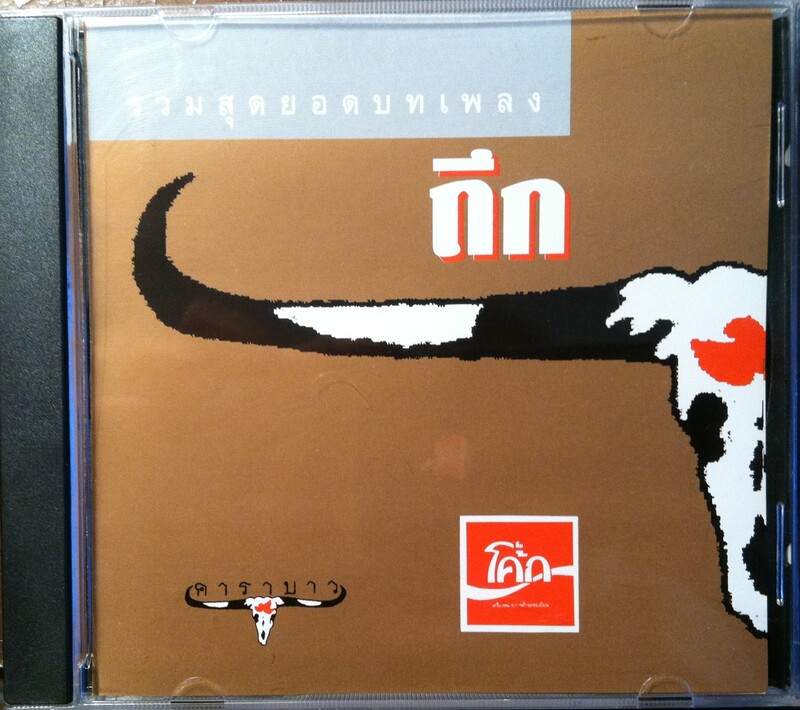 Disc one is the original 2006 studio album “Tung Fun Dtawan Ron,” an Aed Carabao solo album, and discs 2 and 3 are the bonus material for this Gold Edition, containing the audio from an associated concert, a small intimate event that showcases Aed Carabao’s work both with and apart from the band Carabao. As an atheist, I went nuts over it. I showed the song (by email) to one person who was so impressed, he hugged me when he next saw me! The following song, “Gabot Sasana” “Mutiny against Religion” is on a similar theme but more defiant—condemning all the violence committed in the name of religion. It has a very interesting, unusual sound and features a didgeridoo (a native Australian instrument.) Next come the two political songs that I can’t deal with. After that a nice song called “Corridor” (the word is in English), which supports a campaign to build a corridor for animals to cross between two wild areas. 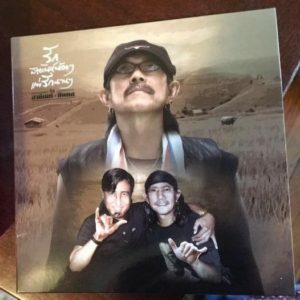 The final song on Disc One is “Tung Fun Dtawan Ron” “The Meadow Dreams of the Hot Sun,” recorded live at a concert—an acoustic, soothing lullaby to the people in the room. 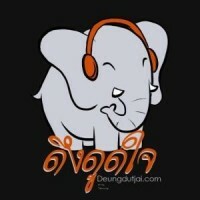 The live concert on Discs Two and Three repeats many of these same songs but, more importantly, contains the definitive version of “Dok Mai See Champoo” (Pink Flower). Ten years before Caitlyn Jenner, this plaintive ballad promoted empathy and understanding for transgendered people. Taking on a transgender persona, Aed Carabao sings “I want to scream and cry so the world knows. Ask them, Just where I am wrong? Am I wrong that my heart is a girl? Am I wrong that my body is a boy?” It’s a daring performance and the crowd responds with surprised and appreciative cheering at the opening cords. After a perfect performance of this song, Aed comments, “One can’t choose their birth” and notes that he is actually of Chinese decent, and uses this to introduce a very positive song about immigration and the inclusion of different ethnic groups in Thailand. Next up is the Mexican-sounding song “Mae Salong” which, as Aed explains, is also about Chinese immigration to Thailand. 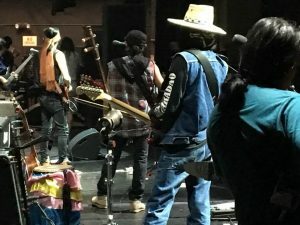 The concert also contains compelling performances of both “Maai Pai” (“Bamboo”) (with Lek Carabao accompanying) and the English-language version of “Aung San Suu Kyi” (the former political prisoner, now leader of the party that won the last election in Burma). “Num Suphan” (“Young Man from Suphan”) 1 AND “Num Suphan 2” are also on this album, along with “Chang Hai” (“Elephant’s Lament”). Disc 3 ends with a whimper with the problematic political songs and less formality as Aed banters with the crowd. 5. ใต้ฟ้าประชาธิปไตย Dtai Fah Bprachatipadtai (Under the Sky of Democracy) ? 7. ใต้ฟ้าประชาธิปไตย Dtai Fah Bprachatipadtai (Under the Sky of Democracy) ?